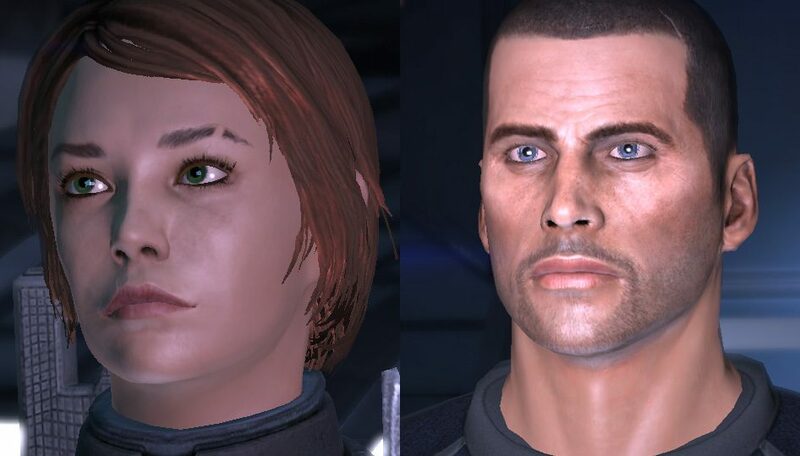 This is a Mass Effect Andromeda Characters directory. Here you’ll find information about the plethora of complex characters found in Mass Effect Andromeda. For more Mass Effect Andromeda content, head over to our Andromeda top page. 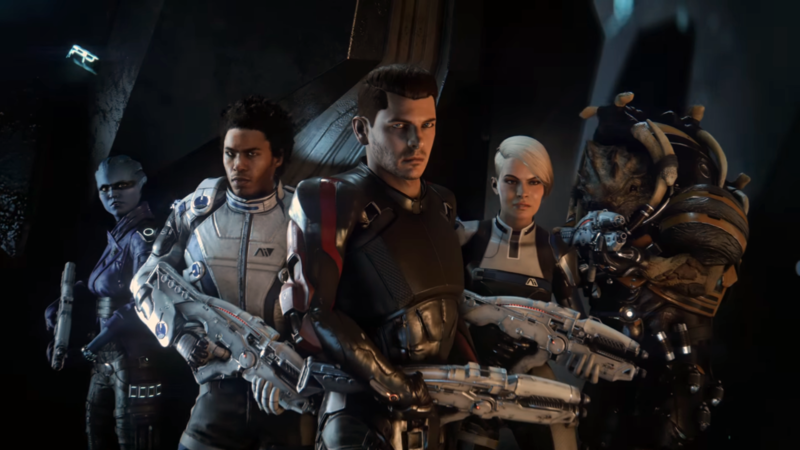 The characters in Mass Effect Andromeda will be arranged by where they came from and their race. Milky Way galaxy races come from the Milky way galaxy, while Helios One races are inhabitants of the star cluster, Helios One. Members of the Milky Way galaxy Ark, Hyperion, the pathfinder team embarks on a journey to find new and habitable worlds inside their fast stealth ship, the Tempest. When a power failure left the hyperion adrift in space, the Tempest crew must seek new worlds to inhabit. The Andromeda initiative paved way to a huge milestone in space travel: exploring the unknown depths of distant galaxies. 5 gigantic ships, called Arks, jumped from a Mass Effect relay and arrived 600 years into the future, billions upon billions of miles away in the Andromeda Galaxy. The Hyperion is an Ark, a huge starship meant to send colonists into the nearby galaxy, Andromeda. Upon arrival at Habitat 7, its assigned world, the Hyperion crew realized that they arrived 34 years later. The crew also face the stark realization that Habitat 7 was possibly inhabitable, and sends Alec Ryder, pathfinder and his team to check the planet out. Humanity found the faster-than-light systems on Mars in the 22nd century. 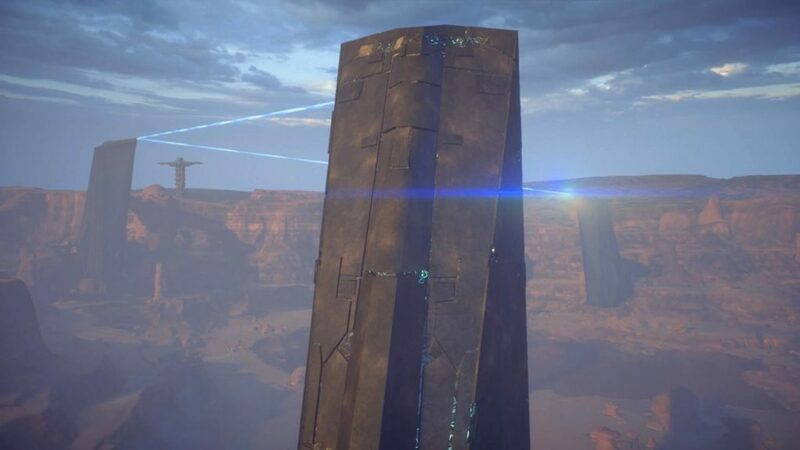 Now an important member of the Citadel, it was a human that thought up of the Andromeda Initiative, which launched 5 ark ships carrying almost a million peoples in total. Humans in the Mass Effect universe are ambitious and expansionist creatures, rising up the ranks of the Milky Way’s Citadel. The “green-skinned space babe” race of the Mass Effect series, the Asari are a mono-gender race, distinctively feminine in appearance. Their culture and nature revolve around motherhood. The abundance of the element, Element Zero caused the Asari to possess powerful biotic abilities. 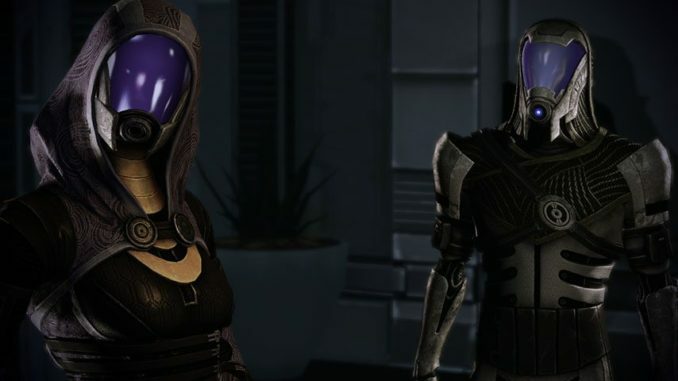 Turians are possibly one of the most popular races in the Mass Effect universe. Adorned with a badass culture centered around war, they boast a huge contribution to the Milky Way galaxy’s Citadel Fleet. 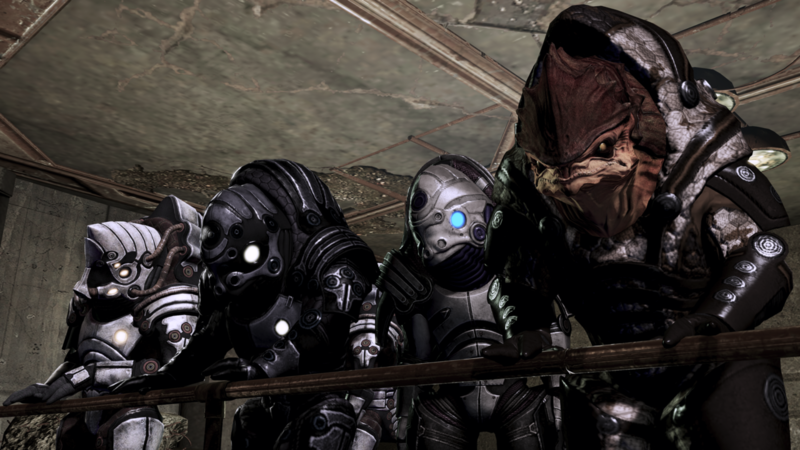 Huge, bipedal reptilians from Tuchanka, the Krogan are a warrior race whose ferocity matches their technological prowess. 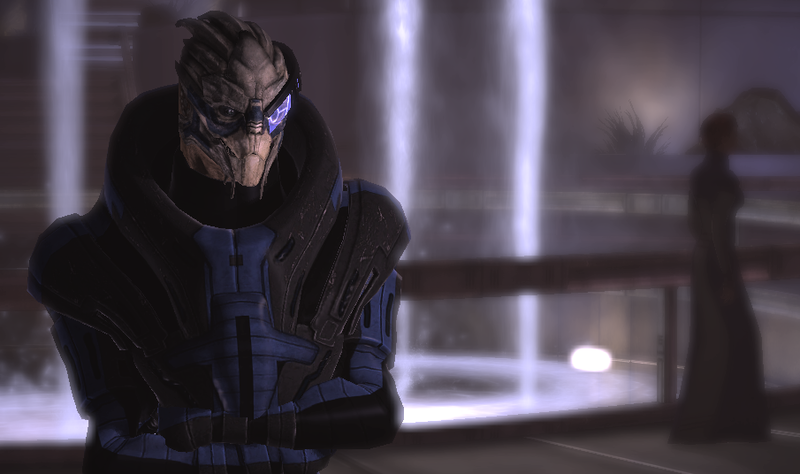 Sadly, a genetic infection neuters a huge swath of the krogan population in the Milky Way. An amphibian species with a very fast metabolism, the Salarians think, talk, and move fast. This sadly means that Salarians only live up to 40 human years. The salarian species is known for their scientific prowess, nearly second to none in that field. The Quarians are a nomadic race. Aboard their Migrant Ship, they travel from world to world in hopes of finding power to reclaim their lost homeland. This race is similar to humans but only a bit shorter. They also have a terrible immune system. Their chirality is different from humans and Asari which makes them unable to eat their food. The Helios One cluster hosts a number of native alien species. These creatures use plasma technology and at times, unconventional armor to dominate and conquer. 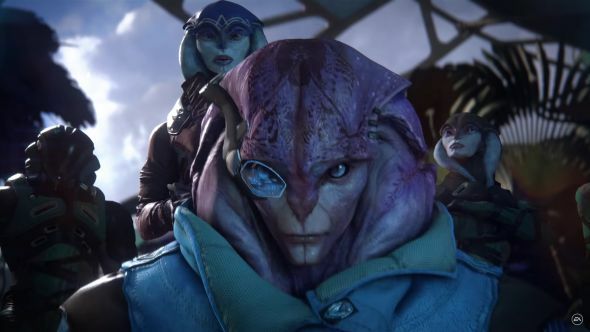 Menacing inhabitants of the Helios Cluster, the Kett are the antagonists of Mass Effect: Andromeda. The kett are a race of aliens that have evolved differently from the races of the milky way. 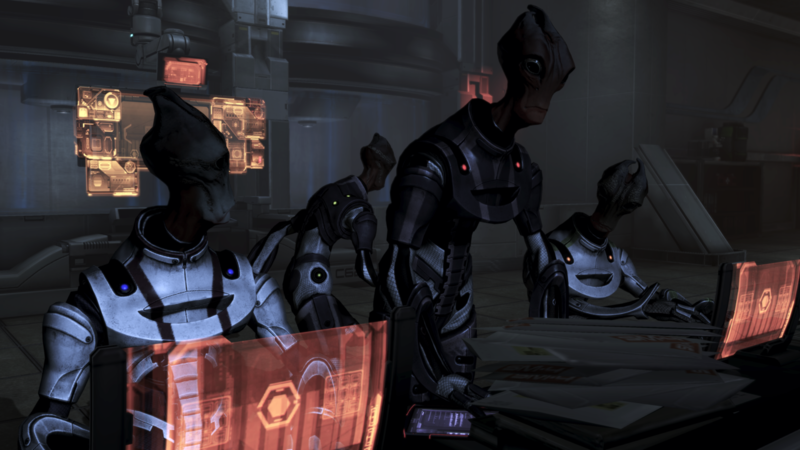 Instead of using clothing and armor sown from external resources, the Kett grow their armor. 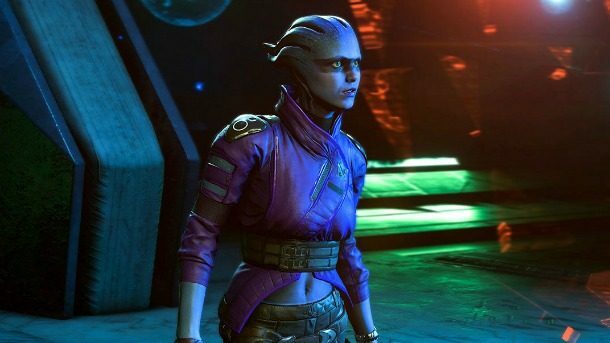 A sapient species native to the Andromeda Galaxy, the Angara are very similar to the Asari, both in appearance and in role. The Angara are a very emotional race, and do not delay in expressing them.